Favored by law firms, these expansion file folders hold standard top tab folders without bulging thanks to strong, fully-lined Tyvek® gussets. 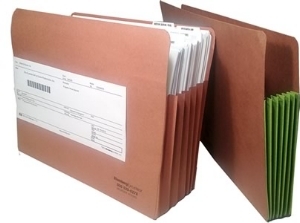 Organize depositions, discovery and correspondence for a single client or subject matter in one pocket, or use extra wide pockets for transferring desk drawer folders to central files. Choose from colored or redrope gussets to easily distinguish files by case or subject matter. 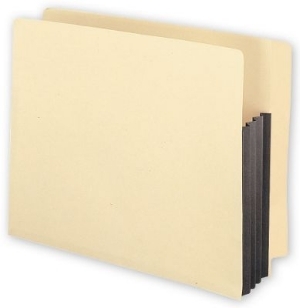 Letter and Legal size expansion file folders are available with different folder thicknesses and colors. Call 800-699-1191 for pricing.